What do you do when you have a package of chicken thighs and a package of corn tortillas??? 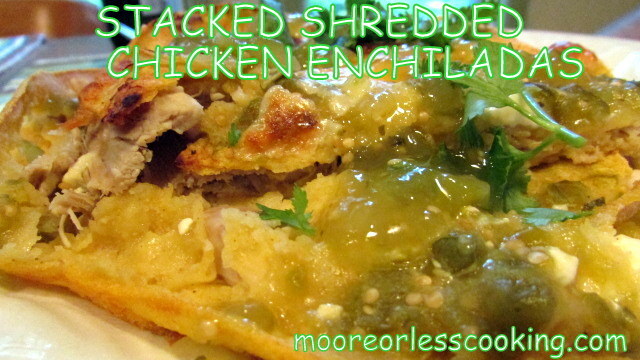 Make Delicious Stacked Chicken Enchiladas! Living in the country, we don’t have too many choices of Authentic Mexican Food, so I came up with this recipe to make up for this! 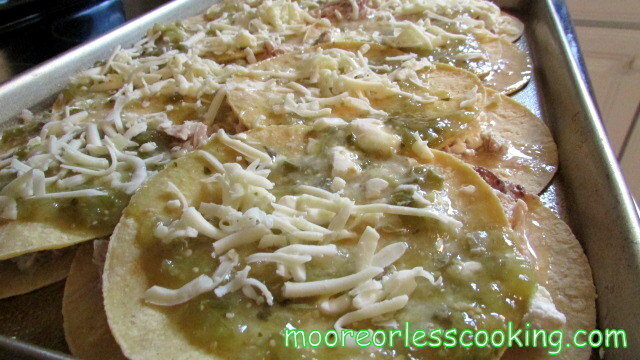 On a large Baking sheet lay out corn tortillas, overlap. 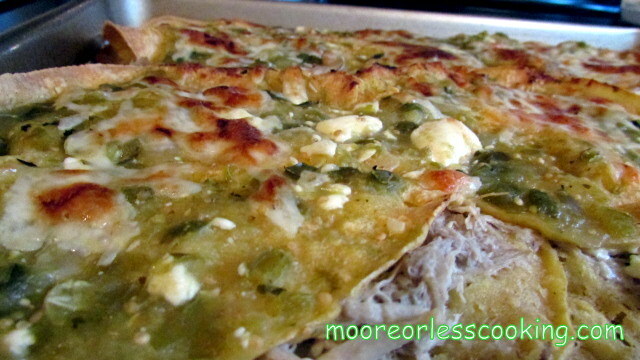 Place Shredded Chicken, Jack Cheese, Feta Cheese, Green salsa, lay the rest of Corn Tortillas to cover the fillings, add more cheese on top. Bake at 400 for 20 minutes, or until golden brown and bubbly. Add cilantro and green salsa as garnishes. You’ve come up with yet another tasty creation. Thanks, Nettie. Pinned as well!